Professional poker players make the game look easy, but they too struggle a lot to reach that level. Poker is more of a mind game that requires strategic planning and timely execution to win. Poker games can sometimes take over hours to finish, hence it becomes very difficult to keep your game high. When you get your cards, immediately focus and memorize all of them. This way you won’t have to look at your cards every now and then, which will make you look like a seasoned player. No matter which card faces up on the table, you will always be aware of what your hand is worth. Knowing your cards will also enable you to know your next move and will allow you to focus more on others and adapt to the situation. The ‘tell' of other players on your table will allow you to know their next move. It is quintessential to read into everything around you about the other players. Read from the way they are dressed, their hair, their nervous twitches, know their poker face and adapt accordingly. Consider talking to them often, know about their job or where they live; this will allow you to understand if they are risk-takers or not. A good poker player must know when to raise or fold. It is not a good idea to raise when you have a really bad hand, so the best thing to do is fold and quit while you can. When you get a really good hand, it is advisable to keep your head down and wait for the game to progress further. Calling it too soon can also rob you from winning big. With good practice and experience, one can master this skill. Many online poker gaming websites have tutorials to learn from or have an option to play with free chips. 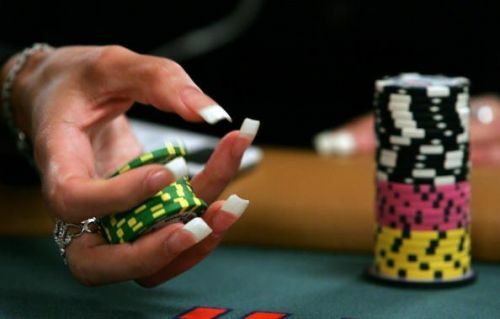 A player can experiment with different strategies, bluffs also gain much-needed confidence while playing with free chips, thus, advancing to a higher level of the game. Playing online poker makes you get used to the pressure at close to no expense of your own. Poker can take hours to finish and often a player’s temperament is put to test. When you get an aggressive player, keeping calm helps you show no weakness and take them down in future moves. Before the tournament or game, try relaxing a bit or even meditating. A strong and focused mind can survive longer and win bigger in the game of poker. Suited connectors are basically pocket cards which are suited and consecutive. Suited connectors became the hottest hands in poker since the beginning of televised pro tournaments. They can be very profitable under the right circumstances, but often the circumstances aren’t that common. It is a good idea to play with suited connectors if you are the first one in the pot, but don’t depend on them way too much. Flop/pre-flop is a game changer, so don’t miss a flop or just play an overstretched bluff which can cause a bigger loss. Poker being a mind sport, bluffing comes in handy most of the time. Make sure your bluffing tactics are polished enough to fool players in as many rounds as possible. When the flop betting is in progress and the fourth community card is dealt with the flop, it is called 'the turn'.Turn card often changes the fate of your hand. The key to playing 'the turn' is all about knowing when to shut down further betting or when to leave the betting open. A calculated and strategic game plan ensures success in poker. The most important thing to do in order to become a good player is to avoid making silly mistakes and unforced errors. Following the above-mentioned tips can help you think and play like a professional poker player. So put your game face on!